Andrew White Guitars :　NEWS - Andrew White guitars are dedicated to 12 G-shin(=god) show. 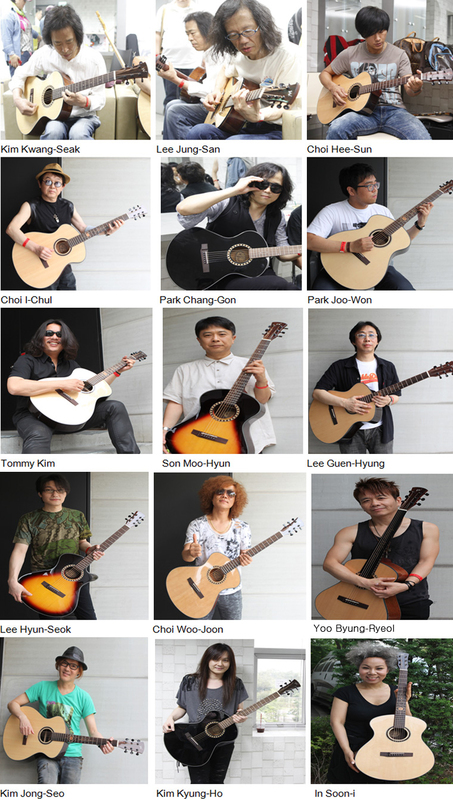 Andrew White guitars are handed in to 12 top rated guitarists and famous singers in 12G-shin show, Seoul Korea On June 10th 2012. This performance was 2nd held show since 1st tribute for Gary Moore was held in 2011. They have given musical spirit from guitar kids to manias as well as dedicated to develop guitar music and music industry. Nowadays K-Pop has been popular in world wide with dance music generally. This special guitar concert with 12 guitarists shows more soulful warm hearted music with guitar instruments. « Prev Andrew White Guitars visit Shanghai!